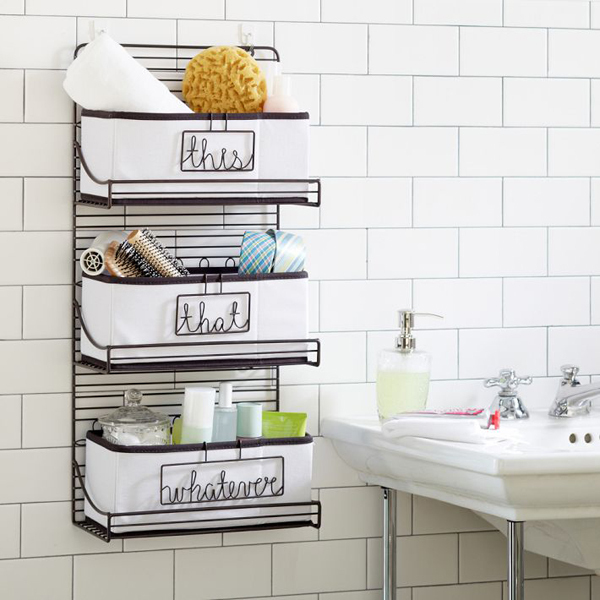 It goes without saying that roommates need to set ground rules (oops, I said it!). 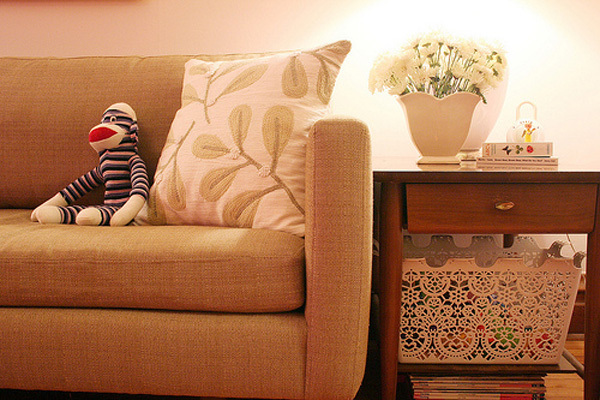 So, let’s move on to how they can live in harmony around their shared home spaces. 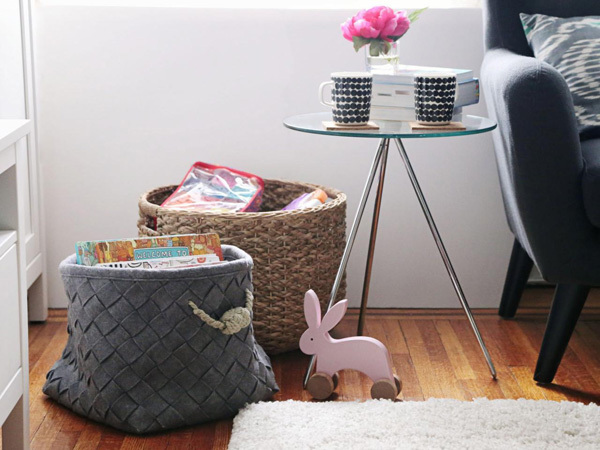 Now, although I can’t help you in the personality conflicts area, I can help you create a balanced home environment to achieve harmony. 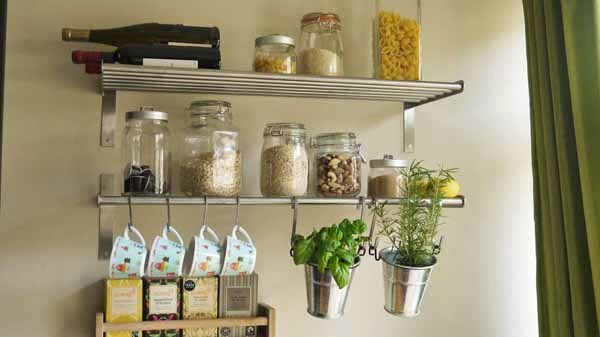 Let’s start in the kitchen, the most shared space of all in a house sharing situation. 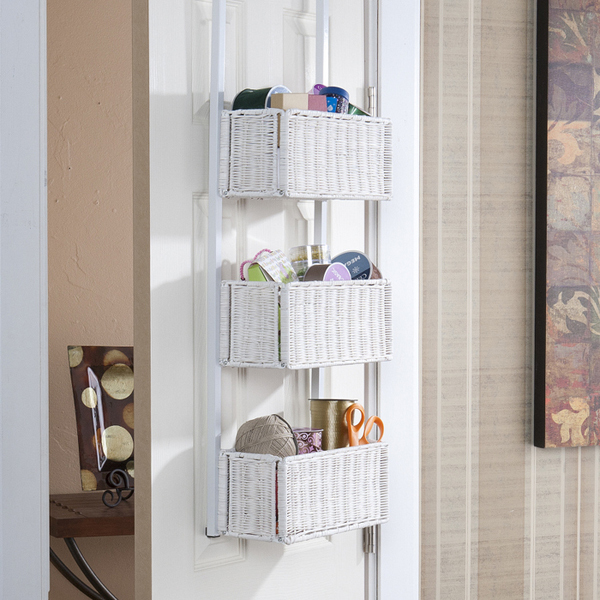 If you can spare some space, like some shelves in the cabinet and fridge, this can make a roommate feel right at home. 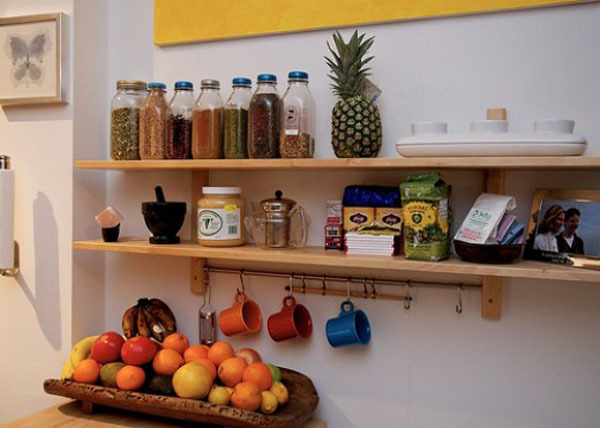 Albeit, some of the food may be shared, like staple food and spices, there will be food specifically for each roommate. 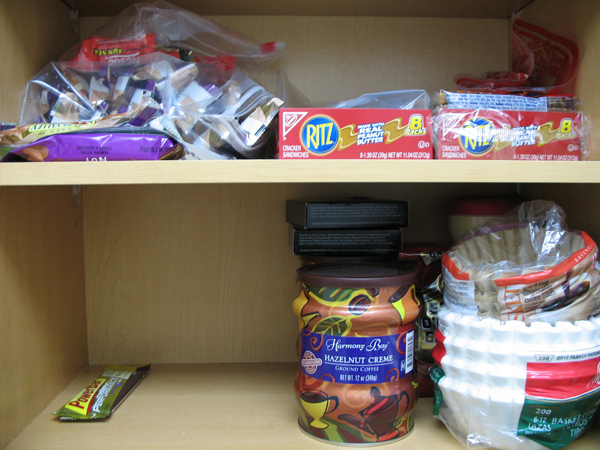 And, if there isn’t a designated food cabinet for a roommate, labeling food is a smart solution. 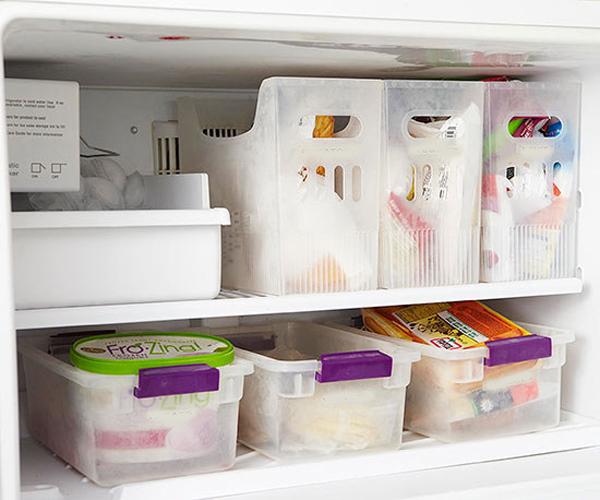 With designated food shelves in the fridge, you may not need to label food. 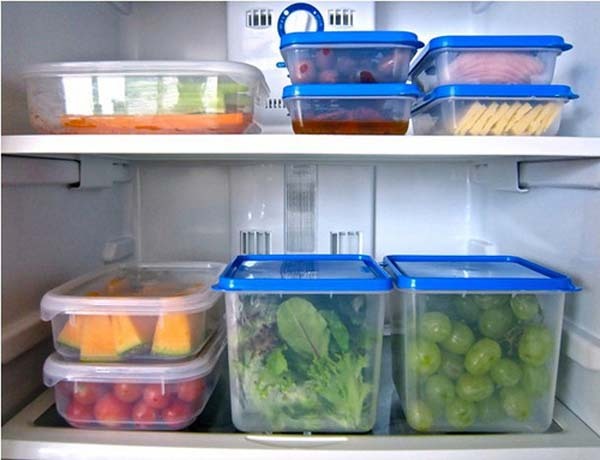 However, if you’re sharing the entire fridge, this will delineate whose food it belongs to. 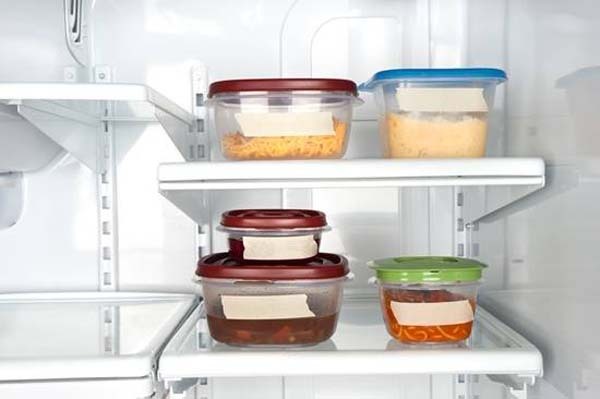 Unlabeled food is open season for whoever is in there so, unless it’s leftovers from a shared meal, better slap a label on it. 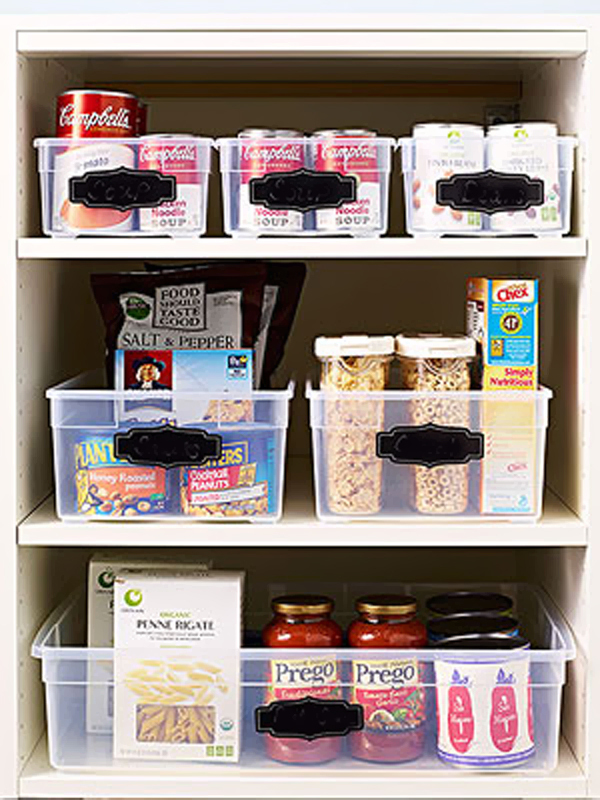 Without these nifty containers or jars in the kitchen, the fridge and cabinets can become cluttered or messy. 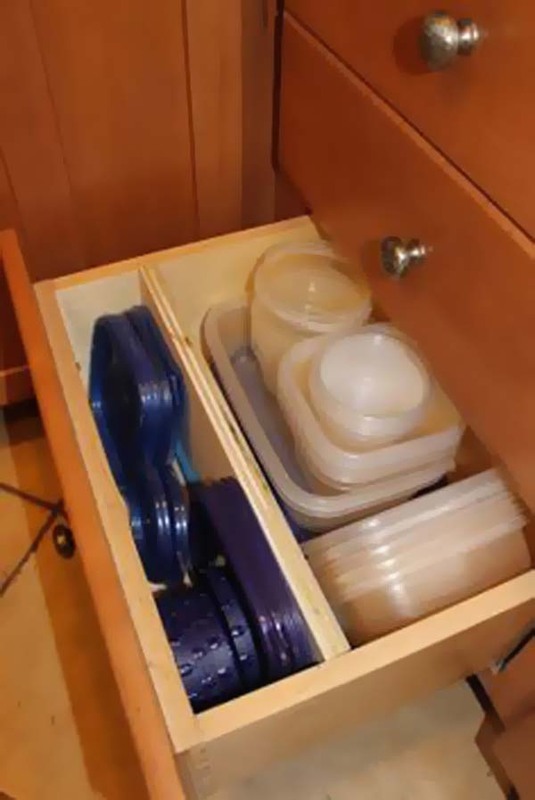 And, since containers stack so nicely, the cabinets will always look nicer. 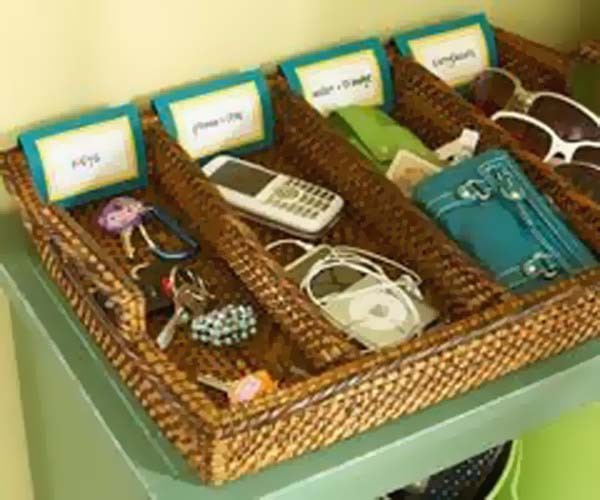 And, for shared shelving, make sure to also keep some masking tape at hand for labeling! 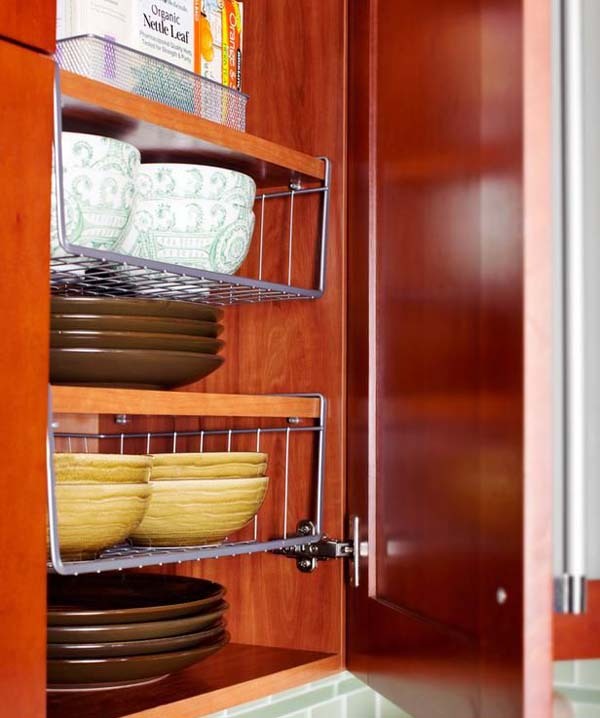 Space-savers like lazy-susan turntables and space-saver racks will turn the cabinets into more usable space. 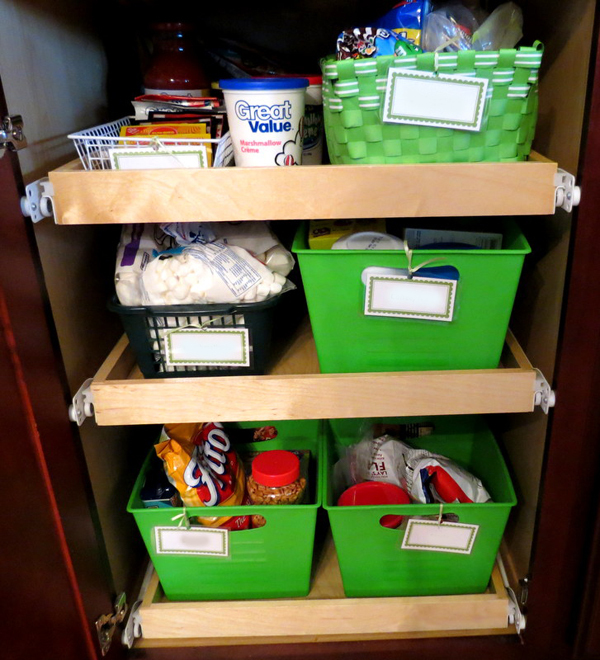 Also, grouping a lot of food items in bins or containers will save space in the food cabinet. 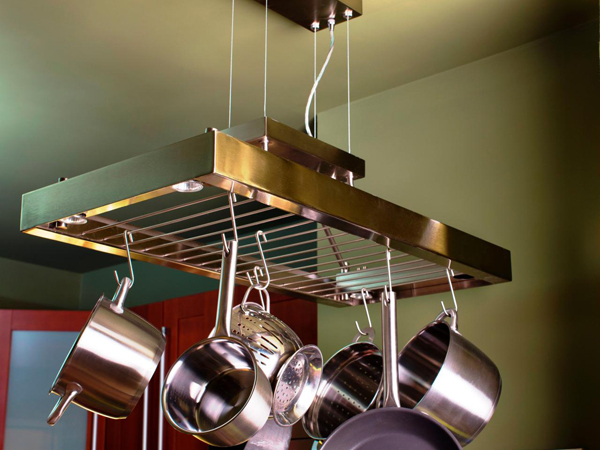 If you need more cabinet space, you might consider hanging pots and pans on a ceiling overhang. 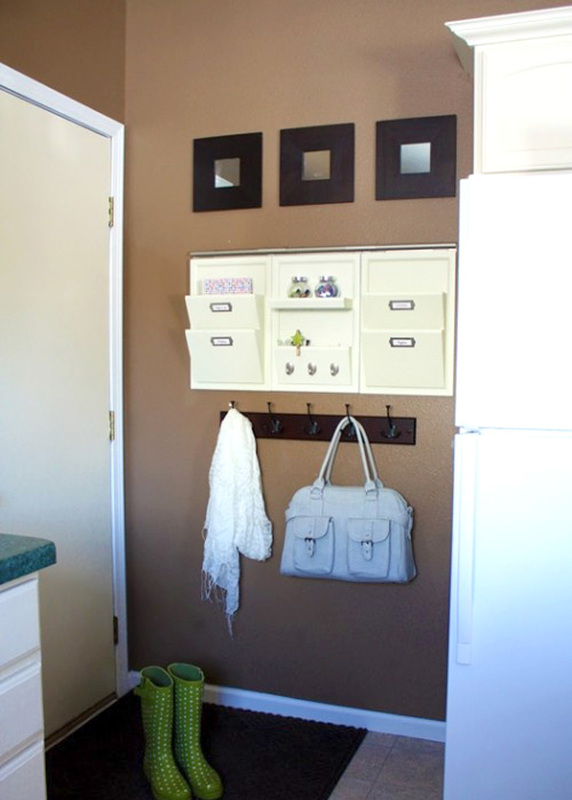 There might even be some wall space for wall shelves to get dishes or extra food items out of cabinet spaces. 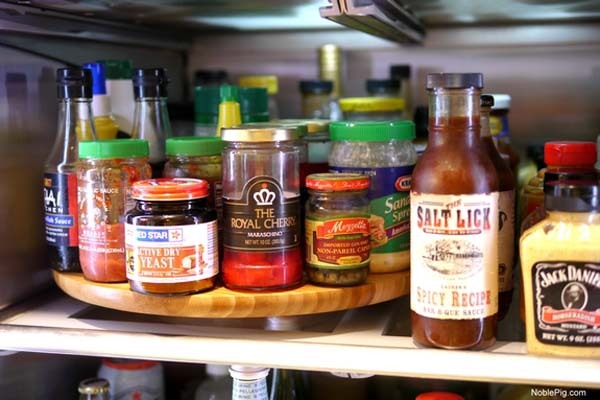 It’s bound to happen – one roommate uses the last of the cinnamon spice and you won’t know it until you go for it. 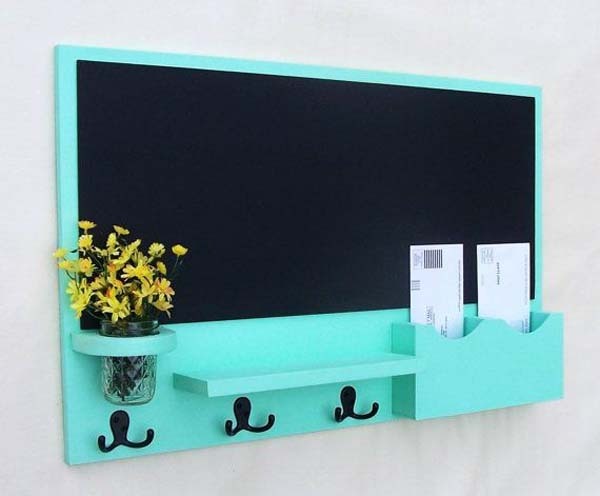 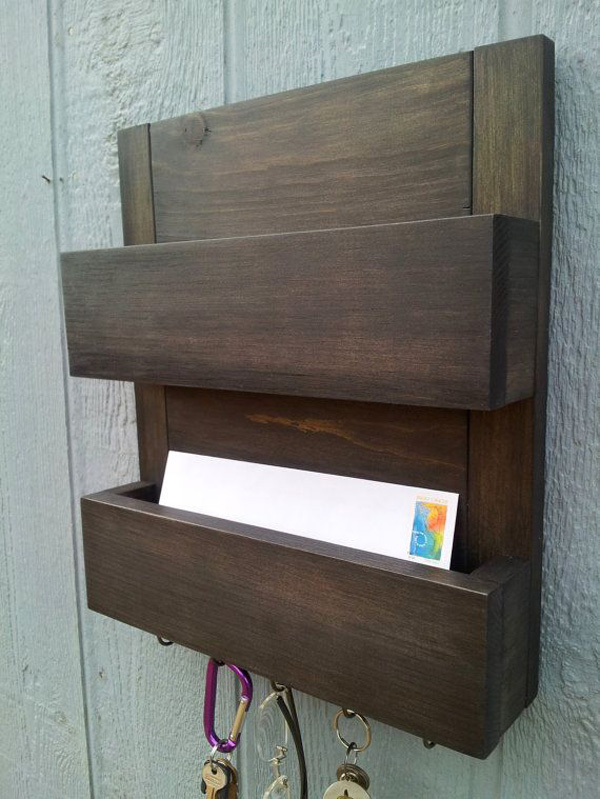 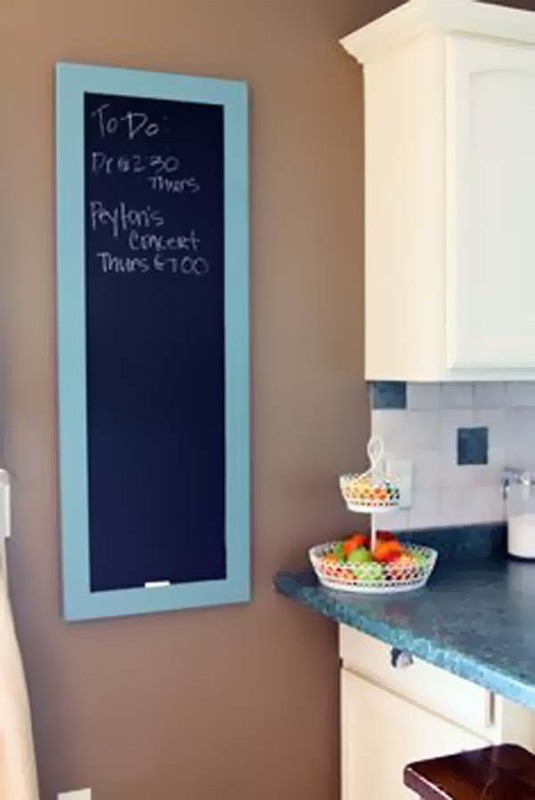 Keep a list inside a cabinet door or as a decorative framed chalkboard piece. 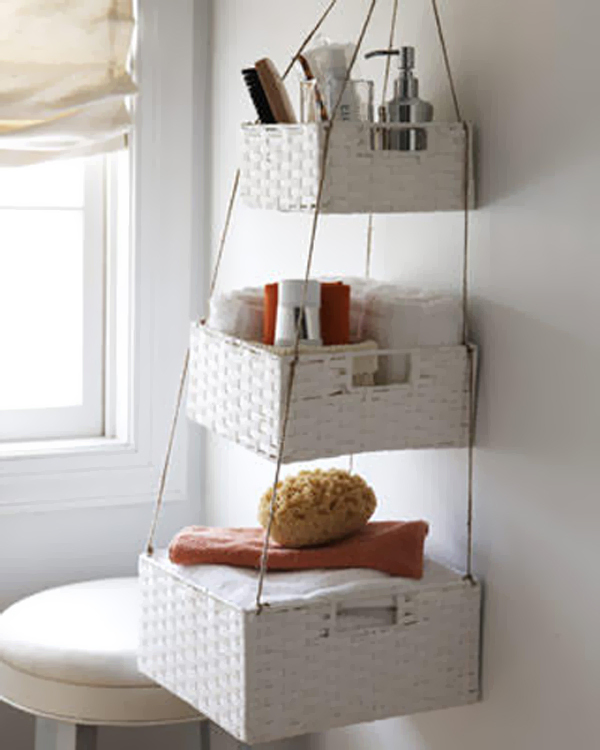 In a shared bathroom, storage space can be a big issue. 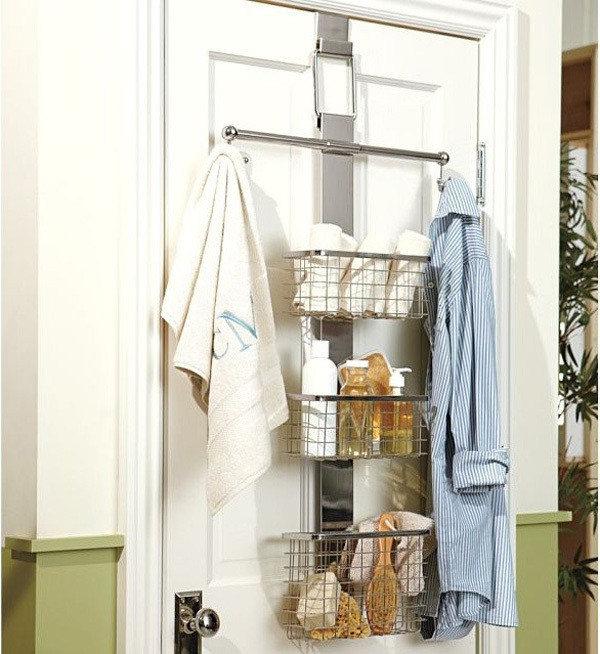 Over-door storage will maximize the room and provide additional storage. 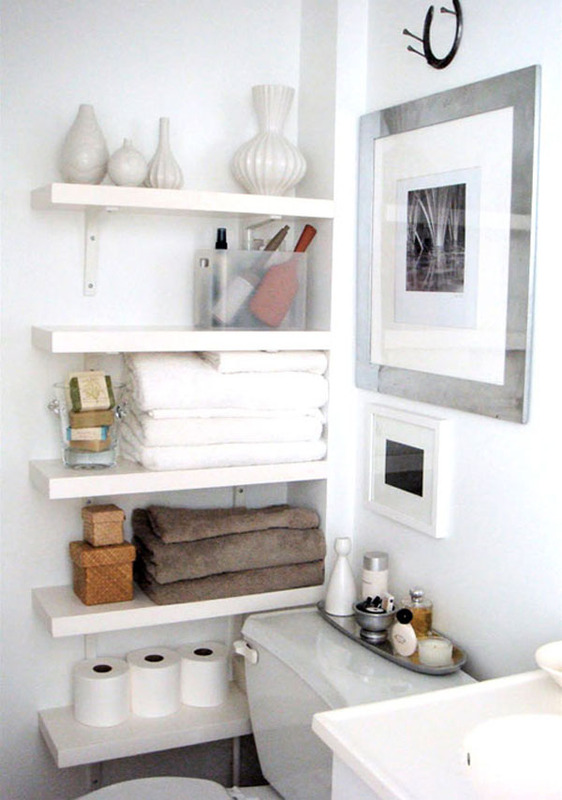 Installing wall shelving will also add more storage space. 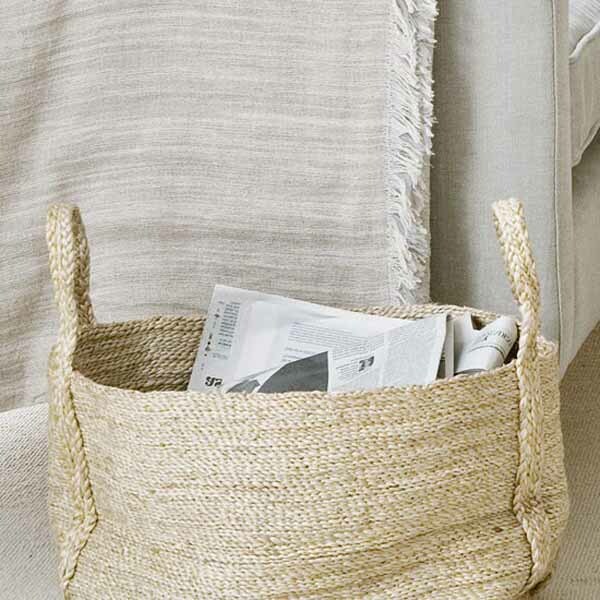 Baskets hung on the wall add more storage space, too. 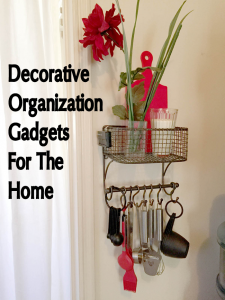 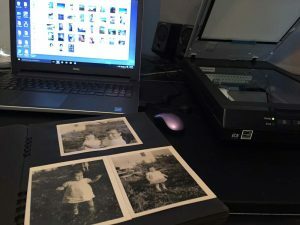 Besides the kitchen, a living room or dining room are the most shared spaces, and keeping these areas free of stuff that doesn’t belong there can be challenging. 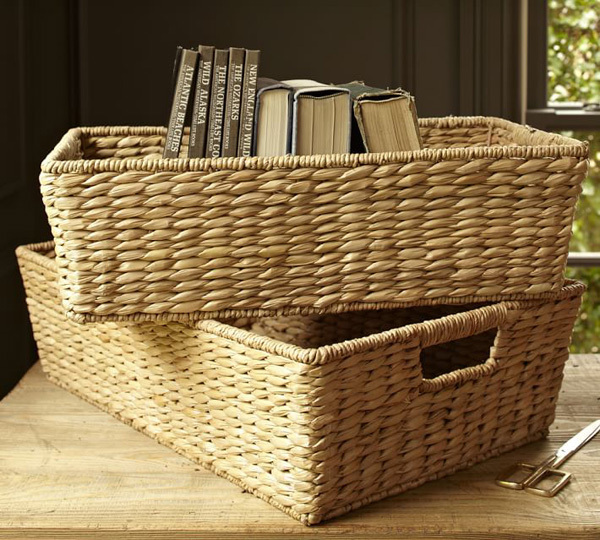 Keeping basket bins around is one way to control the clutter.